Today, advanced technologies have dramatically increased vegetable, fruit, and flower yields, with a whole new array of varieties available to the greenhouse industry. 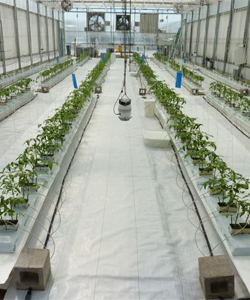 Growing greenhouse crops is one of the most exacting and intensive forms of all agriculture enterprises. Hydroponics / soilless growing systems, in combination with greenhouses, require high technology, and can be capital intensive and highly productive. 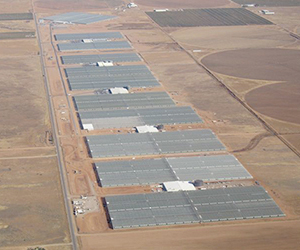 For success, a grower must have a clear understanding and knowledge of horticulture, plant physiology, growing media, plant pathology and entomology, as well as computer and labor relations skills and the engineering capability to provide an environment best suited for plant growth. This knowledge base, plus management skills in greenhouse vegetable production, is a must. Aspiring new growers must seek the correct greenhouse design that will provide and maintain a growing environment that will result in maximum crop yields and quality. While there is no one best greenhouse, the structural design must provide protection from wind, rain, heat, cold, insects, and diseases. The structural members and covering must permit maximum light transmission to the crop. This, along with excellent temperature control, is central to high-quality products. While growing in soil has been the standard for generations, major challenges with soilborne diseases and the lack of control over mineral nutrition and fruit quality require major changes moving forward. Hydroponic/soilless technology, in combination with greenhouse structures (better termed controlled environment agriculture ) have been developed to provide precise control over air and root temperatures, irrigation, plant nutrition, humidity, carbon dioxide, and even light. Newly available growing media, such as coco coir, are rapidly becoming popular. Today, such growing systems provide little root volume to reduce costs and maximize control over mineral nutrition, root aeration, diseases, and fruit flavor. A technological revolution occurred with the advent of drip irrigation, which offers the only means of applying uniform water and fertilizer to the plant. Such systems have assured maximum yields while conserving fertilizer nutrients, and controlling costs associated not only with fertilizer but also water, labor, and machinery costs. Fertilizer formulas, while quite similar, will differ according to the crop grown. 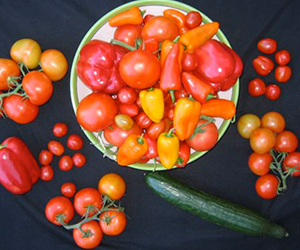 Today, a whole new and exciting future in mineral nutrition is evolving for growing organic vegetables using systems of growing that are providing remarkable success. 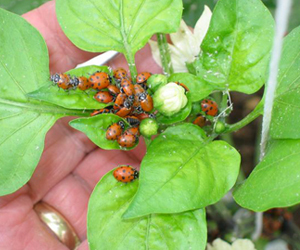 Today, pests are best managed through what is termed integrated pest management (IPM). In general, IPM consists of biological controls, plant genetics, cultural practices, and the use of chemicals. Pesticides are avoided if at all possible because they are expensive and will reduce the potential for maximum yields. A thorough knowledge of all diseases and insects, along with their control, is extremely important if one is to succeed. Important for New Growers: Location, Location, Location! 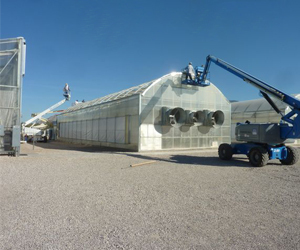 A good building site is crucial for the proper function and operation of a greenhouse. The availability of good light and a constant supply of good water is imperative. The location must be free of high winds and unshaded by trees and mountains. It must have good drainage of surface water and subsurface drainage. One must also have access to good labor and all-weather roads to markets, as well as availability of dependable and economically efficient energy, such as electricity and fuel for heating and mechanical cooling if needed. Greenhouse crops are high in value and perishable, and must have a market quality advantage over imported products coming from long distances, whether it be nationally or internationally. 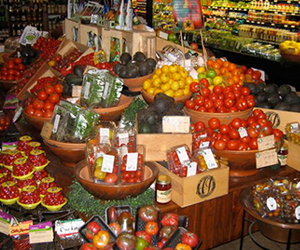 One must be able to produce high-quality products under the label Locally Produced ! It is extremely important to select a reputable seed dealer that provides a wide selection of greenhouse vegetable varieties of the highest quality — a company that works with seed companies and plant breeders worldwide in the selection of the most suitable varieties for greenhouse vegetable production. Growers producing fruit and flowers under protected culture must apply the same precaution in sourcing seed and plant material. It is important for new growers not only, to gain firsthand knowledge on new technologies of controlled environment agriculture, but also worthwhile for existing growers to gain up-to-date information on new developments that are rapidly changing in today's industry. Companies and growers that don't pay attention to these new developments will have technology pass them by, decreasing their competitive edge. As communities throughout the world are growing, access to fresh, affordable, and safe food becomes increasingly critical, and so, too, does the role of the direct-market grower in association with protected environment agriculture. We encourage continuing education, networking, and hands-on workshops to keep abreast of rapidly advancing developments in this exciting field. 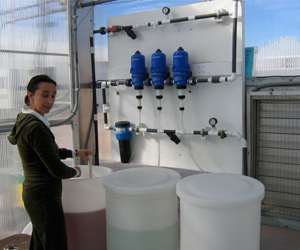 To learn more, visit the University of Arizona's Controlled Environment Agriculture Center (CEAC). The CEAC hosts a series of short courses consisting of lectures and hands-on workshops that cover the many aspects of controlled environment agriculture (CEA). Their Greenhouse Crop Production & Engineering Design Short Courses provide a firm knowledge base for beginning and intermediate growers. Participants of the Short Courses are presented the most current and innovative strategies used in developing and maintaining successful CEA greenhouse systems. There is no other school like the University of Arizona, with the combination of research and educational programs in greenhouse growing. In particular, their programs that are open to growers and the public offer a unique opportunity to share their extensive knowledge in the field of controlled environment agriculture. 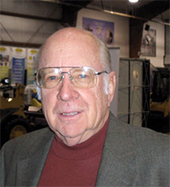 Dr. Merle Jensen has served as an academician and consultant to industry for over 40 years, developing agricultural systems for businesses, communities, and aerospace application. He was one of the early pioneers in the development of agricultural plastics for greenhouses and brought one of the first Dutch Venlo glasshouses to the US. Early in his career, he did extensive research on tomato viruses and mineral nutrition for both horticultural and agronomic crops. He developed many of the cultural systems for controlled environment agriculture used in over 50 countries, including drip irrigation, growing media, solar energy, energy alternatives and conservation for greenhouse vegetable production. His programs of research served as a prototype for food support systems for aerospace application. 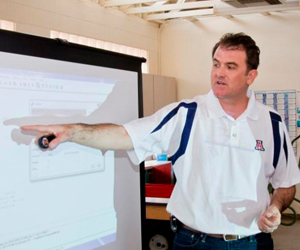 Through his fund-raising efforts, he was able to establish the Controlled Environment Agriculture Center at the University of Arizona, which serves today as the only such research/education center of its kind for university students in the US.